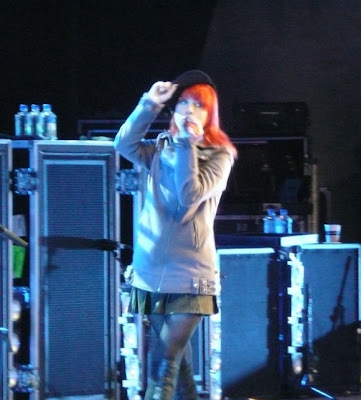 On the 13th of October (yes I know, this is slow)… Paramore performed at the Sidney Myer Music Bowl… Now I have to admit, I’m a new fan… I only discovered them (as I’m sure many of their new fans have also had the same discovery) on the Twilight OST…and I fell in love with their music! The day was blistering cold (which often is the case with Melbourne’s unpredictable weather), but the fans braved it and turned up in droves! 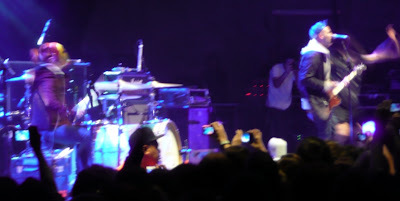 Jumping out behind black drapes to perform Ignorance (from Brand New Eyes), Hayley Williams had the crowd on a high right from the opening til the close of the performance. 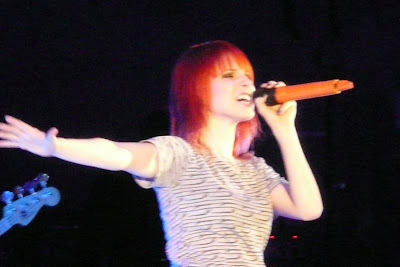 Hayley knew exactly what to say to the crowd to get them screaming and singing along. She had amazing showmanship which is not usually seen in many acts that come and visit (and I’ve been to a fair few). The crowd went super crazy when “Decode” (from the aforementioned Twilight soundtrack) was played and the band was just amazing. 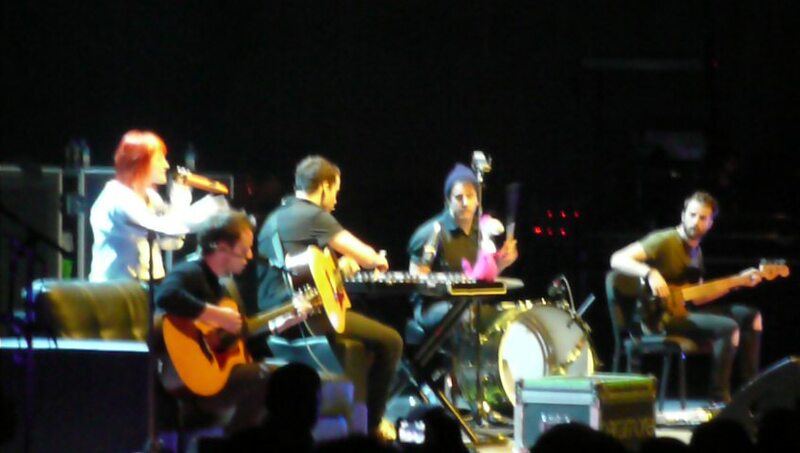 For the interlude, the band had a couch placed on the stage where they played a few acoustic versions of their songs. Towards the end of the night, Hayley wanted the fans to appreciate some country music and she performed a classic (apologies, I can’t remember it now). They finished off the concert with Exception and then came back for 2 more encores (even getting a fan on stage – who totally rocked it) for Brick by Boring Brick and finishing off with Misery Business and confetti!! 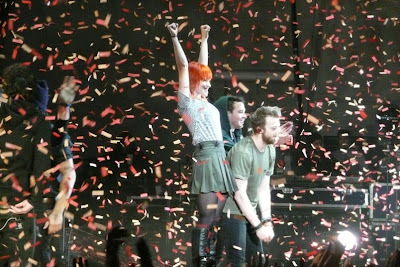 I can’t wait for their next album (hopefully it’ll be next year), there seems to be a pattern with their album releases (i.e. every 2 years). Great photos- Looks like you had fantastic seats! how lucky you are! 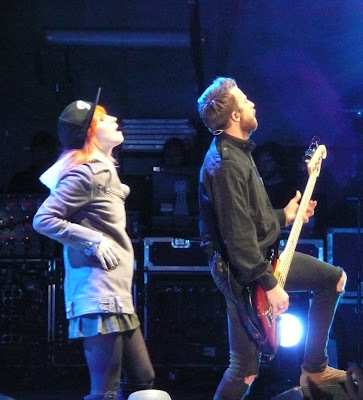 i really wish to be able come to their live show…..are those photos taken by yourself? 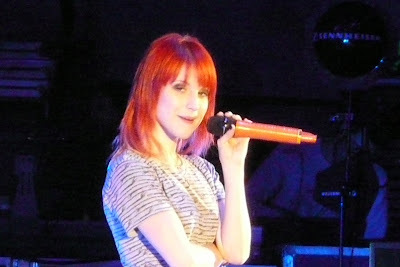 wow, there's one photo that hayley looked to your camera!! Hayley and the guys are offering up a customized Apple iPad! 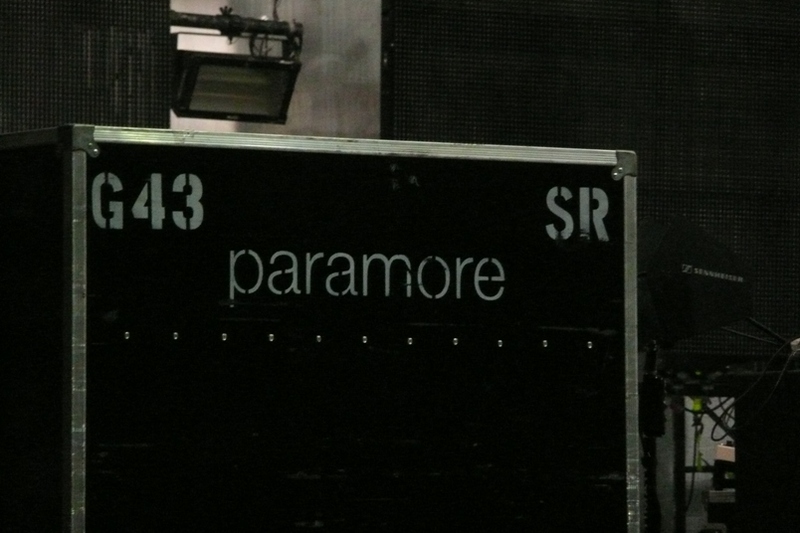 Everything Paramore literally at your fingertips! 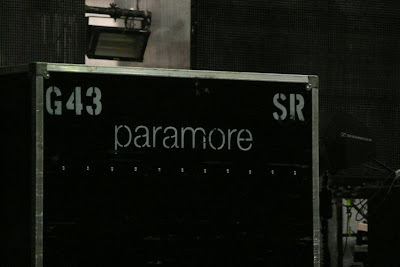 It comes complete with the entire Paramore library, a custom playlist selected by the band, and an exclusive welcome video!